It’s one of the most iconic films of the ’80s, and now Heathers is getting the small-screen treatment. Today saw Paramount Network release the official red band trailer of the upcoming series, and we’re practically squealing with delight. 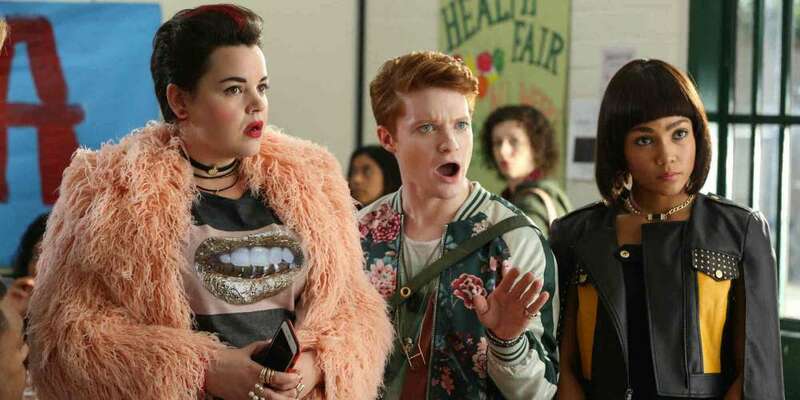 A perfect mix of the film’s dark, edgy comedy and of-the-moment, woke queer culture, this Heathers trailer is all the proof we need that it’ll be one of our favorite new series. Called “a sublimely vicious update for the Adderall era” by Rolling Stone’s Jon Blistein, this reboot of the 1988 black comedy stars Grace Victoria Cox, Melanie Field, Brendan Scannell, Jasmine Mathews and James Scully — plus turns by the brilliant Drew Droege, Casey Wilson, Selma Blair and “o.g. Heather” Shannen Doherty. It’s the first we hear from Heather Chandler (Melanie Field) in the just-released Heathers trailer, and with just a couple sentences, we’re already committed to loving to hate her. Unlike in the late ’80s original film, in the Heathers series the mean girls aren’t obnoxiously thin white girls — you know, those you’d expect to have it out for the freaks and geeks. 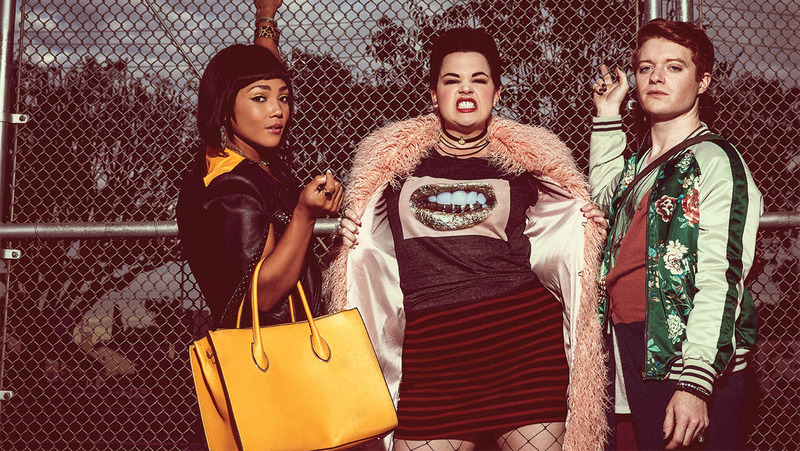 Instead, as the Heathers trailer shows, the monsters are made up of a plus-size gal with killer fashion sense, a super-femme gay guy and a black girl at the bottom of the Heathers totem pole. And did you catch the fashions on Heather C?! We’re stoked. In case you couldn’t tell, here’s a show that basically shrugs off society’s obsession with political correctness. Some people find that appalling, and one outlet even called it “out-of-touch bigotry.” We find it intriguing. Maybe even a little refreshing. Let’s see where this goes. No matter the project — from Chloë Sevigny skits to a one-man run in Bright Colors and Bold Patterns — Drew Droege gives. us. life. In Heathers he’s a teacher in serious need of an attitude adjustment, which hopefully means we can expect a zinger or two every time the show gets him on-camera. We reported back in November 2017 that Shannen Doherty, who originally portrayed Heather Duke in the ’88 film (now portrayed by Scannell’s gender-flipped Heather), would be returning for the reboot, and this little line of dialogue seals the deal! We aren’t entirely sure who Doherty will be playing on the new series, but here’s hoping she’s as dastardly as she comes off in this new Heathers trailer. 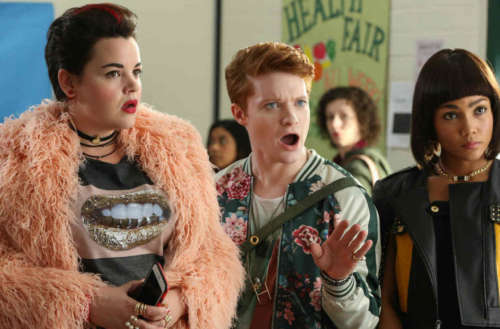 The Heathers reboot comes to the Paramount Network on March 7.